Why is the Green Card Lottery year always 2 years ahead the actual year? The years referred to for the lottery can be confusing, so please read this to understand what they mean. The 2016 application submission period was from October 4, 2016, until November 7, 2016. The 2016 application is referred to as the 2018 Diversity Immigration Visa Program (DV-2018). 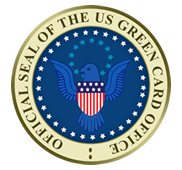 The reason its called the DV-2018 program is because successful applicants will receive their visas (Green Card) during the 2018 fiscal year. We hope this clarify the confusion.